Iranian Foreign Ministry Spokesman Bahram Qassemi rapped Trump’s recent anti-Iran remarks as ‘delusive and worn-out’, stressing that Iranophobia is a failed and futile policy. “The US policy of [spreading] Iranophobia and the repetition of outdated claims have failed and proved ineffective,” Qassemi said on Wednesday. Responding to Donald Trump’s remarks in Israel that Washington is committed to preventing Tehran from acquiring nuclear arms, Qassemi reminded the US president that international organizations have confirmed that Iran has met all its nuclear commitments. “The Islamic Republic of Iran has never been pursuing nuclear weapons,” he said, stressing that relevant international bodies have on numerous occasions verified the country’s commitment to its nuclear obligations. The bitter irony is that such anti-Iran comments were made during a trip to Israel, which has not complied with any international treaty on prohibition of nukes and has stockpiled a huge amount of nuclear warheads in the occupied territories, he added, according to media reports. 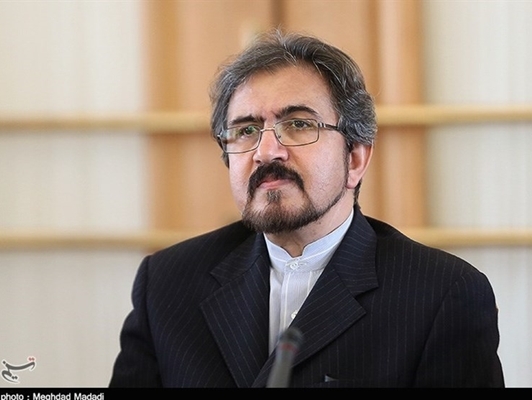 Qassemi also rejected as “baseless” US allegations that Iran supports terrorism, saying Tehran is well-known for its forceful and indefatigable fight against terrorism. Without Iran’s battle against terrorism, terrorist groups like ISIS would have mired the whole region and world in horror today, he went on to say.